Math = Love: Broken Circles - Planning for Day 1! 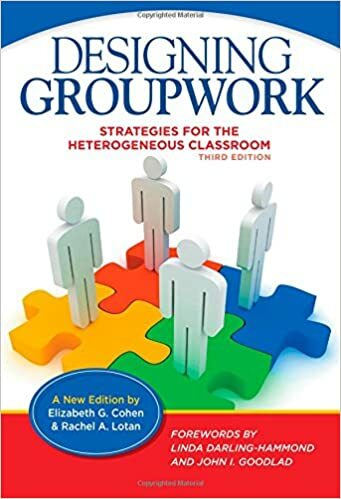 Yesterday, I mentioned that I had recently read Elizabeth Cohen's Designing Group Work: Strategies for the Heterogeneous Classroom (affiliate link to 2nd Edition / 3rd Edition). I absolutely loved this book, and I think it's one of the most practical, applicable education books I've ever read. I know this is going to be a book I reference over and over and over as I seek to engage my students in productive group work this year. Having now read the book, I completely concur! A few years ago, I made these classroom/group work norms posters to hang up in my classroom. I guess I thought that hanging posters up on the wall would magically convince my students that this was how they should work together. They would point to one of the posters every once in a while and make a comment, but other than that they didn't really do much to change the culture of my classroom. Now that I've read Cohen's Designing Groupwork, I realize that norms are something that must be taught and practiced and reinforced and reinforced and reinforced if you want your classroom to be characterized by them. Thankfully, the book provides concrete activities you can do with your students to illustrate the importance of these norms. This year, we will be starting school on a Monday instead of our normal Thursday. In the past, we've always started on a Thursday which meant we could do fun, getting-to-know-you activities the first two days of school. Then, we'd have a weekend to recuperate and be able to hit the ground running on Monday. Because our students' schedules change so much in the first couple of days of school, I don't want to jump straight into content. So, my current plan is to spend the first week of school teaching my students how to work in a group. We'll work through a series of activities suggested by Cohen to build/reinforce norms. Cohen claims that time spent reinforcing norms is time well-spent because it allows future groupwork to proceed much more efficiently. The first activity that really caught my eye in Designing Groupwork was Broken Circles. Cohen notes that Broken Circles was developed by Nancy and Ted Graves. And, this activity is based on an activity known as Broken Squares that was invented by Dr. Alex Bavelas. Students are placed in groups of 3-6. Each student is given an envelope that contains 2-3 puzzle pieces. The objective of the activity is for students to put their pieces together in such a way that each student has a complete circle. There are some very specific rules that must be followed, though. 1. No talking. I think this will be the hardest rule for my students to follow. 2. No point or hand signals may be used at any time. This will also be very tricky for my students. As soon as they realize they can't talk, this will be the next thing they want to do. 3. Each player must put together his or her own circle. No one may show another player how to put together his or her circle or do it for him or her. 4. Students may not take pieces from another student. However, they may give one or more of their pieces to another student. They may not put the piece in another person's puzzle. Instead, they must hand it to the other person or lay it down on their desk. So, what do the pieces look like? Here's what the Stanford template looked like. If you look closely at the A wedges in the first three triangles, you'll see the issue I ran into. Shaun suggested that I could easily make perfect circles using the degree measures from the template in GeoGebra. (Of course, he had to walk me through making them step-by-step. GeoGebra and I are only casual acquaintances.) This also helped solve another problem. The above circles are designed for groups of 6 students. I wanted to be able to use this with my groups of 4 and possibly a group of 5 or 6 if necessary. Making my own templates would make this much easier. The Stanford file had larger versions of the circles that printed 1 to a page. I cut out a version of these, but I decided that this seemed like a waste of paper to me. For my version below, each group's circles will print on a single page. This makes me feel a lot more like laminating them and cutting them out! Here are the circle templates for a group of 6 students. All the pieces with the same letter go in a single envelope. To make the activity work for a group of 5, the last circle is deleted. And, the remaining F piece is redistributed to make up for the piece that was taken from the D envelope. I repeated the process for group sizes of 4 and 3. So, I still haven't shared the part about this activity that makes me the most excited to use it in my classroom on the first day of school: It's not as easy as it looks! Of course, the no talking, no pointing, no touching other people's pieces rules will make it tricky. What makes it super-tricky is that the person with the A envelope is going to set the tone of the game and they don't even know it. Take a moment to look at the three A pieces above. Notice anything? If I did my GeoGebra-ing correctly, each of the A wedges should measure 120 degrees. What happens when you have three 120 degree pieces? Yup. They make a circle. Now, take a look at the pieces for the other letters. They will most definitely not make a circle when put together. What I'm expecting to happen is this: the person with the "A" envelope will get very excited and put their circle together. The rest of the students will struggle and struggle and struggle. The group will not be able to make any headway until the person with the circle made of A's decides to pay attention to what the other group members need. Even though all of A's pieces will make a circle, this circle is not part of the final solution. To succeed in this activity, students must pay attention to what their group members need. This is not something my students are accustomed to, and I'm hoping it will be a powerful lesson for them. 1. Pay attention to what other group member's need. 2. No one is done until everyone is done. After groups finish, I plan to give them this reflection sheet. Each person in the group will be responsible for filling out a different box on the sheet. Then, we'll wrap-up the activity with a class discussion about what we learned about being effective group members. I'm super-excited to try this activity on the first day. 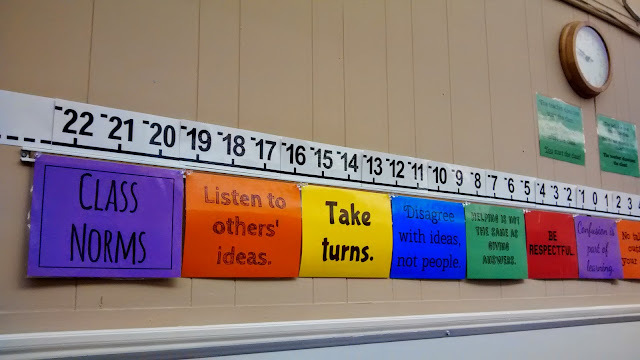 I'm not sure exactly how long it will take, but I think the activity + reflection time + discussion + other first day of school importantness like taking roll and telling students what supplies they need should fill the 50-minute class period. Of course, I'll make sure to have a back-up activity in case we fly through this waaaaaaaaaaaaay faster than I expect us to. Are you as excited about this activity as I am??? I've uploaded the files I created here. You'll need to download these free fonts if you plan to edit the Publisher files; HVD Comic Serif Pro and Open Sans. If you download the PDF files, the fonts will be embedded, but the files will not be able to be edited. If squares are more your thing, here's a link to a Broken Squares activity I found. Me too, Tara. So excited for the first day of school! I have been trying to download some of your resources from your blog but when it takes me to your appbox page and I select download, nothing happens and an error message comes up. Is there any other way of getting a copy of your files (broken circles and Rainbow Puzzle)? I did this years ago with my 6th graders... Squares ... And found them recently, I might have to convince my co-teacher to do it this year. Thank you! Very cool! I was torn between doing the squares and the circles. Circles seemed easier to make with the help of some geogebra. I did a version of this at a standards of math practice training last year. I know it was hard for us to follow the directions! Haha. I love your reflection piece. I may have to see if I can fit this into my first week activities! I think it will be hard for my students to follow directions, too! I can't wait to try this with my 4th graders - not sure if I will use circles or squares, but definitely working it into our first couple of days together. Thanks! Awesome! Hope your 4th graders love it and learn something from the experience. Thanks so much for this post! We are definitely going to do this with our 7th graders (and hopefully our 8th graders)! I love reading your blog posts and often send them to my teachers to read. Thank you for everything you do, and congratulations (belatedly) on your wedding! At the middle school where I am an instructional coach - we use this text heavily as our PD for helping teachers learn how to implement groupwork. I am speaking at TMC16 on this subject. Out of Cohen's book we use Broken Circles and also the Master Designer -- both are amazing! Thanks for sharing your experience and links to the resources - I have it linked in my presentation! This is just the new thing I needed for the first week of school! Thank you! I love the most that you put Shaun and Sarah on the template! Super cute married math couple! Thank you for sharing! Group work is something I began to implement my second year of teaching because I saw the benefits of putting my students in groups at the end of my first year. i found that having my students in rows led to isolation, lack of focus, and lack of motivation. I started to group my students based off where they tested out math grade level wise. I put two strong math students at the same table with two students who struggled. I started seeing peer tutoring, collaboration, and discussions happening and I loved the fact that i became more of a facilitator in the classroom. However, your point on norms has stuck with me because throughout my second year I still found myself encouraging students to talk to one another and correcting behaviors of disrespect. I think that establishing group norms during the first week of school is a great way for us all to get to know each other as well as building a strong foundation for groupwork that will benefit us all throughout the school year. 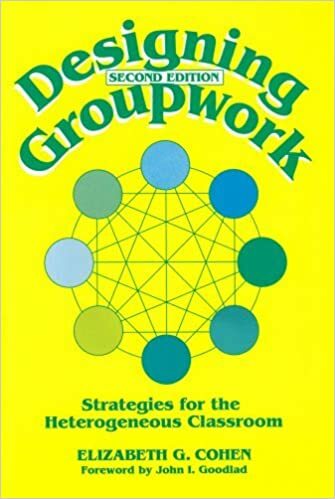 I love the activity 'Broken Circles' and am super interested in reading the book "Designing Groupwork" because I never want my students in rows again! The activity is very clever because it forces everyone to work as a group in the closest way possible because communication is minimal. I love how every circle must be completed to win because that is only possible with person 'A' realizing that everyone needs their help. I love the norms learned here because it targets the areas I have been struggling with in terms of groupwork. I want my students to look out for others in their group and understand that they are a team and that the task isn't complete until everyone is on the same page and complete. The reflection piece is key because it will allow students to internalize the point of this activity. In addition, open discussion will further reinforce the norms that were learned whether they realized it or not. I feel like the students will feel more bonded with their classmates and it will set a positive tone for the year. This is a great activity for many reasons. I love that they have to work together AND separately. One student cannot just grab everyone's pieces and make all the circles. The silent part will be tricky with some classes, but I like that aspect also. I am thinking of using this to begin trig review as a way to remind them of the relationship between angles/radians/fractions of a circle. I like your thinking with the trig review! Love this! Can't wait to try it my Math2 and Stats kids. Hope they love it, too! I tried this activity with my 9th grade students today, and it was awesome!!!! Today was their 2nd day with me (we are on block schedule) and this a perfect way to show them the importance and following directions, working together to achieve a goal, and persevering until the goal is accomplished. I am looking forward to trying this tomorrow. We did the marshmallow challenge today, so this one will be quite different for them. Thanks again for sharing your idea and and handouts. I did this with my Alg1 and Alg2 classes. The groups of 3 went MUCH faster (like 3 min to complete), than the 4s or 5s (more like 8 min). Also having the reflection on hand for groups that finish to start was essential. It helped the "no talking" rule since everyone was quite. I used paper clips for the pieces and one envelope per group. AND as I checked their circles (b4 I gave the reflection) I told them to paper clip the ORIGINAL pieces back together (not their completed circles). Made for a smooth transition for the next class. Happy broken circles everyone. An overall fun activity to instill positive group norms. Do you have these color-coded in some way? Are all the A's blue, all the B's green, etc? Would that help with organization? Does it ruin the integrity of the activity or give students any "hints"? Each set is printed on a separate color. The letters mark which is A, B, etc. Ordering the book on designing group work today. I have been so worried that I won't be able to do the problem solving/ group work that I want my students to do in class. Your #teach180 post came at a perfect time for me. I want to do everything I can to prepare my students how to work together as I know my new approach to math is going to be a challenge to them at first. But less me more them is hopefully going to open their eyes and increase their love of math. Love this! Totally using it on the first day of school in my classroom. I'm definitely going to check out that book, too! I can't recommend that book enough! i give thanks to jai mother sunlight for her great concern over me and my household. she really indeed has been a pillar to my family. i thank you so much for ending the sufferings in my home. my husband wanted to divorce me thinking i am the cause of his problems that he contacted a spell caster and they told him that i am the cause of his darkest moments. i am really happy to share how you bless us unexpectedly even more than we could ever acquired if we were to work for it i thank you mother. for this what you did, if i should give you money, it is not enough..so i praise great jai mata sunlight...... readers my name is kaur middy milas. and i'm residing in texas. on the internet, you will see lots of comments about bringing your ex back. many of them are not real. they will scam you, deceive you and they go for your money. i contact three different spell casters all says different to me. i formed victim for two and the other threatening to kill me if i don't send him money. but when i came to jai sunlight first she advise i applied it's works then i mailed back and tell her the situation is then she said we should use lovespell i obeyed i didn't mind i contacted before but i ended miserably i just believe jai mata sunlight because anytime she talks to me i feel like i am talking to my biological mother. she is really a goddess and a loving mother. if you need help about getting your ex back or maybe other problems you might have while not contact jai mata sunlight? via sunlightmata@gmail.com and expect a perfect change in your life. with lots of testimonies and blessings.